There were three conservation districts originally formed in Converse County. In 1947, both the LaPrele District and the Glenrock District were formed. These two districts consolidated in 1963. The third district, the Upper Cheyenne River District was formed in 1951. Then in 1979, one district was formed and became the Converse County Conservation District as it is known today. The Converse County Conservation District is a locally led effort overseen by a locally elected board of five. Each supervisor is elected in the general election and serves a four year term on a voluntary basis. The board meets the third Thursday of each month, unless otherwise publicized. These are open meetings and the public is invited to attend. The district is funded primarily though a local mill levy tax and grant funds. Additional funding is acquired by the district’s equipment rental and seedling tree program. Great opportunity to "branch out" your gardening skills. This conference covers a wide array of gardening and crop topics. This is an event you do not want to miss! We have a CHALLENGE for you!!! Wyoming and most of the Western United States is plagued with Cheatgrass. It is a highly invasive grass, with undesirable products, that most of us are familiar with. There are new invasive grasses making their way into Wyoming, Medusahead and Ventenata. The effects of these grasses are undoubtedly worse then Cheatgrass. Regrettably, Medusahead has been found right here in Converse County. The problem is, it is new and we have no idea where else it might be. 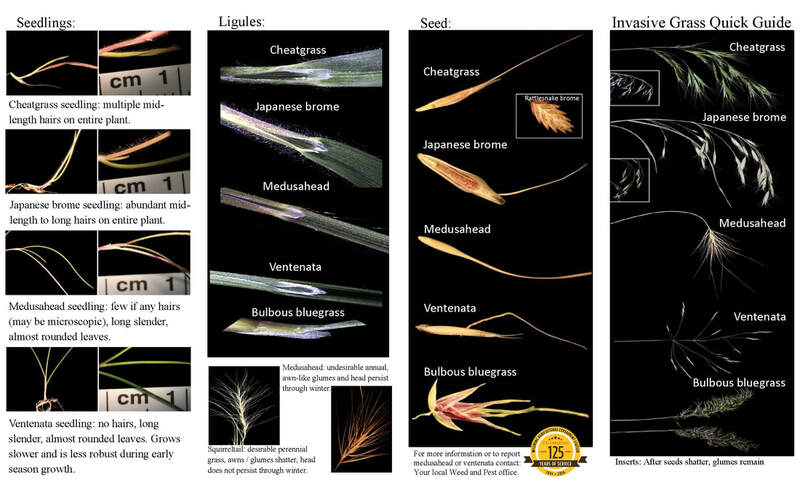 So here is the challenge: familiarize your self with these grasses and the next time you go out on either private or public lands keep an eye open for these grass species. If you find it call Converse County Weed & Pest immediately. The Conservation District mails out bi-monthly newsletters. 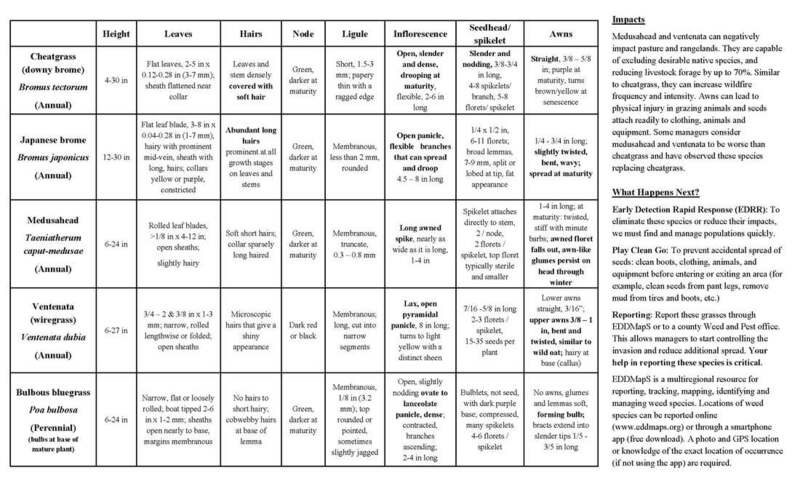 They include information from the Conservation District and happenings with our programs and events, as well as the NRCS, FSA, and Converse County Weed & Pest. This is a great way to stay up-to-date with current events and publications in our area! Contact us today, 307-624-3164, if you would like to start receiving our newsletter.